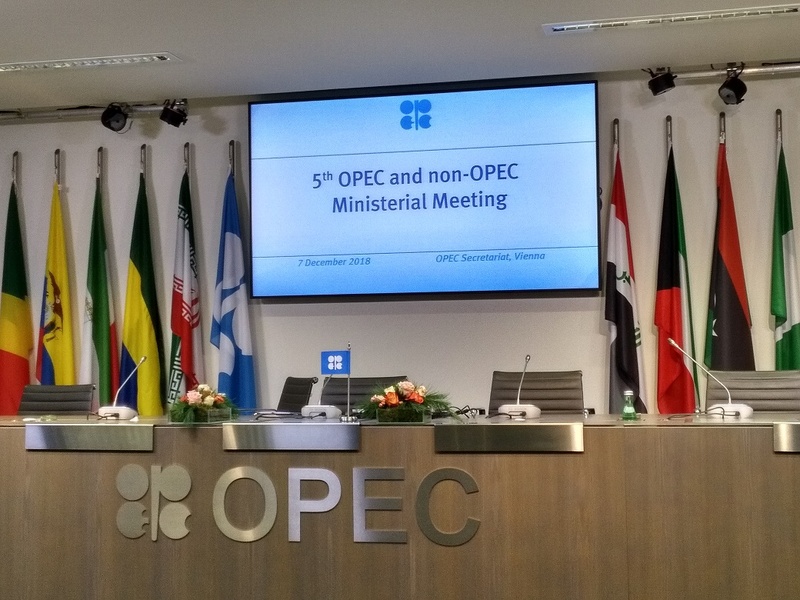 So here we are back again at Helferstorferstrasse 17 on Friday (December 7), for another packed room at the "5th OPEC and non-OPEC Ministerial Meeting." 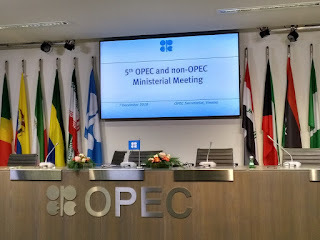 That's after having received no formal announcement on the level of OPEC cuts overnight at the "conclusion" of the 175th OPEC Ministers Meeting, and Saudi Oil Minister Khalid Al-Falih having told CNN a deal on a production cut may not materialise. The morning after extreme volatility in the oil markets, OPEC's numbers game continues. The latest that multiple sources seem to suggest is that OPEC is inclined to cut 650,000 barrels per day (bpd), and non-OPEC countries another 350,000 barrels per day, all tallying up to a possible 1 million bpd cut proposed overnight. Question is - will the market be convinced, especially if Iran and a few smaller members decline to participate? The Oilholic doesn't think so (and Iran continues to play hardball and the formal OPEC /non-OPEC meeting has not even begun yet @12:46 GMT). To support a $70 oil price, a 1 million bpd cut won't do, but may serve to de-risk a huge decline. Anything above that appears unlikely. We wait and see! More from Vienna soon. Keep reading, keep it 'crude'!